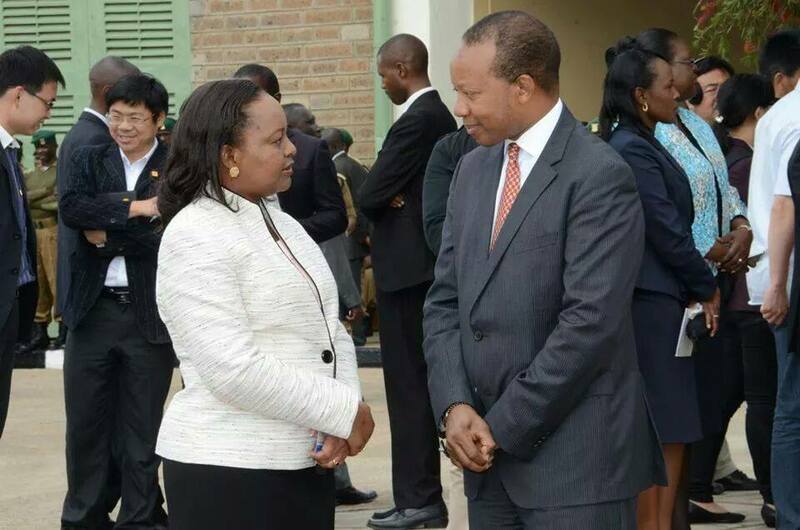 Dr Anne Waiguru is making all changes in government with little consultation even with her boss the President. The cabinet secretary who is known to be close to President Uhuru sacked Japter Kiplimo Rugut and replaced him with Dr Nelson Githinji a former State House comptroller. Sources close to Kiplimo Rugut reveal that the former PC was sent an SMS directing him to stay away from the NYS HQs as he has been replaced. The change means that now the top 3 bosses of NYS are all from one community. Dr Githinji will be deputised by Chege Muchiri and Samwel Michuki. Ethnic alienation in various government departments has gained steam in the one year old Uhuru led government with a silent policy of exclusion being practised right from the office of the President. Mr Rugut hails from Deputy President William Ruto’s backyard of Nandi Hills and his member of parliament is hon Alfred Keter, when reached for comment the office of the deputy president offered no comment. Key ministries and departments are either led or controlled by people from the Presidentâ€™s ethnicity raising questions even within Jubilee whether other Kenyans should not feel part of the government. In an interview with a local newspaper, Dr Waiguru is said to have bragged that she owed nobody an apology nor an explanation on why she sacked the NYS boss without any valid reason. She said that government officers need no reason to be moved as she is boss and she has right to make changes she deemed necessary. The ethnically aligned media stations have given a blind eye to the ethnic exclusion and marginalisation being practised in government. We wish madam Ann Waiguru the best as she steers this country to great heights of development, equity and fair distribution of national resources. AMEN!